At the same time U.S. and anti-Taliban forces were liberating Afghanistan, an unprecedented humanitarian operation was also under way. The chief of U.S. Central Command, Army Gen. Tommy Franks, said Americans should be proud of that effort. Franks spoke Jan. 18 at a "cyber news conference" from Tampa, Fla. He said the humanitarian effort has saved thousands of lives and points to the fact that the operation against the Taliban and Al Qaeda has been successful. This January, 11,000 metric tons of food and medical supplies have moved into the country. This follows 116,000 metric tons delivered in December. Plans are to move in 45,000 tons by the end of January. 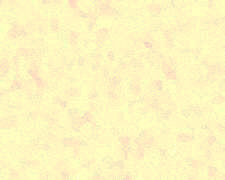 Earlier in 2001, thousands of two-pound canary yellow packages branded with American flags floated through the night sky over Afghanistan, imprinted with the words: "This is a food gift from the people of the United States of America", in English, Spanish and French. 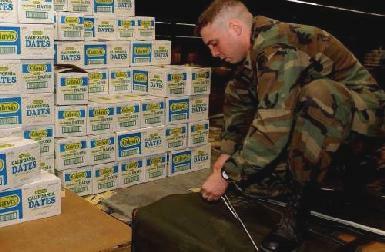 These humanitarian daily rations, were dropped from U.S. C-17 cargo planes over Afghanistan. Contrary to what critics say, this effort is not at all unorganized. Rather, the United States spent a lot of time and money designing these packages. If we really did not care about these people, and were simply putting on a show, then why would there be 15 different menus, all vegetarian? Why would the packages contain a complete day's food supply of 2,200 calories that can last 36 months at 80 degrees? A sample menu includes beans and rice in tomato sauce, fruit bars, vegetable crackers, fruit pastry, herb rice and even a non-alcoholic towlette. Food and medical supplies are now moving into the country via all 11 major convoy routes. 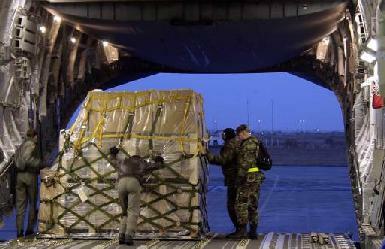 Nine airfields are also now open in Afghanistan to receive humanitarian supplies. The United Nations' international humanitarian relief staff has moved back into the country. Nongovernmental relief agencies are also moving back in. More than 35,000 refugees have returned to their homes, but this still leaves millions of Afghans in refugee camps outside the country and internally displaced. Coalition members are also helping with the medical problems of the country. "One of our coalition partners, Jordan, has established a state-of-the-art hospital in Mazar-e Sharif with more than 20 surgeons and a full medical capability," Chief of U.S. Central Command, Army General Tommy Franks said. "They've treated more than 8,000 Afghans since Jan. 8." Russia has also established a hospital and Spain, South Korea are preparing to send more medical assets to the theater. General Franks said another hopeful sign is that schools are reopening. "In one case, 80 female staff have returned to Kabul University and 200 females registered for classes," he said. This development was "unthinkable" under the Taliban. 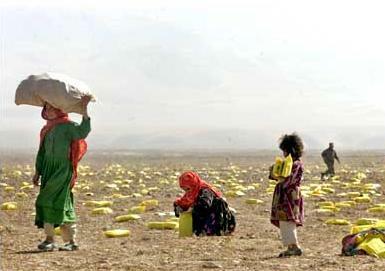 Another problem being addressed is that Afghanistan has one of the largest concentrations of land mines in the world. There are between 10 million and 11 million mines believed to be planted throughout the country. As of today, some 4,400 United Nations Afghan deminers are operating in the country. Additionally, a mine awareness program is underway to educate the population on the danger of these mines.